An unmet expectation also creates drama. You expected "A" but got "B." Your stimulus response is what creates the crisis. How you respond will dictate the impact it has on your life. 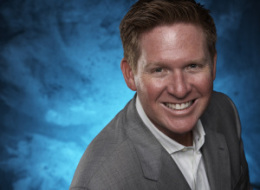 Tom Ferry is CEO of YourCoach and the bestselling author of <em><a href="http://www.tomferry.com/">Life By Design</a></em>. What is it with people who are always so damn dramatic? Everything is a crisis -- a bigger deal than it actually is. These people always find themselves in the middle of struggles and hardship. Are they happy? Does all this drama really work for them? Do they really enjoy all the extreme highs and lows? My experience tells me "no." So the question is: Why are there so many drama queens (male and female)? They say drama is created by your reactions to something that happened in the past, present or projected in to the future. Yeah, I get that. I once heard the saying, "Big stuff, you're born, big stuff, you die. Everything else is small stuff." Granted, death, divorce, being fired and suffering financial setbacks are all big moments in life that are completely understandable to get upset about. These can be traumatic experiences that have a real and usually significant impact on our lives that are all dependent on one thing: The story we attach to it and the meaning and emotion we associate with the event. The common mistake people make when dealing with dramatic events is to allow themselves to get stuck in them. Most people feel victimized by these experiences and then use them as an excuse to take time off, wallow in their misery, throw a pity party for their loss or worse, accept things as they are and continue to live by default. When people come to me in hardship, I try to get them out of that mindset as quickly as possible by turning their thoughts toward creative, positive uses. When you feel good about things, you are free to create and express yourself. When you feel miserable, stuck in your addiction to drama, you're crippled with fear, panic, worry and a sense of worthlessness. The bottom line is this: how you feel determines your attitude. Your attitude then determines your actions, which ultimately determines the outcome. Why are most people comfortable in this place of conflict? There's a perceived benefit to being dramatic. We get attention. Our needs are being met because we are connecting with others. We get to be part of a clan because we can get everyone around us involved in our chaos too. While all of this emotion is stirring, our need for interpersonal connection is being met by the person who called to tell you some juicy gossip, by the person who brings up stories of the past or by an email from a best friend who can't stop complaining about her abusive or empty relationship. You're in line for a promotion and didn't get it. Your spouse planned a date night and the baby sitter cancels. You're leaving for vacation and you boss says they need you to say. You expected a bonus and got a fruit basket. You can see where I'm going here, right? When you have an intention and it doesn't work out, instead of sitting around, getting upset, lashing out at someone or yourself, recognize feeling bad about it won't change the outcome or solve the problem. So instead of getting caught up in the drama, create a new plan and get into action. How we choose to respond to the unmet expectations and drama that is everywhere will dictate the response and outcome. So the next time you are met with an unexpected situation, stop, take a breath and remind yourself that everything has a way of working out. I declared a long time ago that I am a drama-free zone. Oh, don't get me wrong, I get into arguments and disagreements with people, but I don't let them blow up into something bigger than they are. I talk it out, and put it to rest. Over the years, I've slowly disassociated from people who brought constant drama into my life. Why? Because I want to surround myself with people who understand that living in drama impacts all areas of our lives. It's much easier to stay out of drama when you surround yourself with people who don't live in drama. They don't gossip, aren't always in the middle of a challenge or crisis, aren't glued to the evening news, find zero significance in other people's upsets and don't blow everything out of proportion. They recognize life's bumps as just that--a momentary hiccup. The hardest part in letting go and releasing from the addiction to drama is that like any addiction, most people actually get some form of pleasure from these very things that are not good for them. The reality is that in life, drama will always be around. You can't escape it, but you can choose not to let it consume you. You can control the meaning you give it and that's when drama can actually become powerful and productive because sometimes an unmet expectation is exactly what you needed to happen to change your course for the better. I have a good friend named Claude who is one of the happiest people I have ever met. He lives totally drama free because he chooses to live By Design. When I asked him how he stays out of the drama, he explained he sees life as a movie. If we can see each moment as nothing more than a scene, before you know it, the next scene will be up on the screen and that moment of drama will be in the past. I love that analogy because it's a simple way to see every moment, good or bad for what they are. A moment in time that will soon pass. So, here's your assignment. I dare you to give up drama for the next 30 days. Stop making everything mean more than it is. See things as they really are. Try to create a better story around the events that happened in your life. When you let go of allowing your circumstances to dictate your outcome you will be in control of your destiny. 3. You're Glued to the News, Magazines And Stories About X Y & Z.
Tom Ferry is CEO of YourCoach, and success coach to more than 100,000 people and leader of more than 100 business motivation seminars per year. He speaks to dozens of major corporations annually and has served as head coach to hundreds of top executives over the past 20 years. His latest book is his instant New York Times and Wall Street Journal bestseller LIFE! BY DESIGN: 6 Steps to an Extraordinary You.